An honest and hardworking realtor with nearly two decades of experience in San Mateo County, Steve is a native of the Chicago area who came to the San Francisco Bay Area in 1997. Armed with a bachelor's degree in broadcast journalism, Steve worked at San Francisco-based KRON-TV working in the newsroom when in 2008, he turned his attention to his long-time passion, real estate. Thanks to his loyal clientele, personal referrals and repeat business, Steve has built a successful real estate career. Steve enjoys bringing a unique point of view to the high-stakes world of Bay Area real estate. He has a long record of successfully identifying ways to streamline the buying-and-selling process, anticipating his clients' needs, and constantly improving their results. 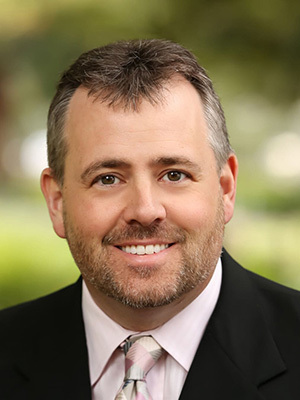 Steve proudly offers comprehensive, firsthand knowledge of Peninsula cities and specializes in applying his market expertise to every real estate transaction. Living where he does, Steve is extremely aware of the importance of staying current in today's real estate world and has a special focus on emphasizing technology in his business practices. He leverages social media in a sophisticated way, using Facebook and Instagram, as well as his website and LinkedIn to create strong networks and to connect with clients on a personal level. Steve is a family man. He and his beautiful wife, Michelle, have called Foster City their home for the past 13 years. They have twin boys who are graduating from San Mateo High School this May. The boys are currently applying to colleges in the Pac-12 . In his spare time, Steve enjoys friends, watching football with his boys, kayaking in the Foster City lagoon, working on his Land Cruiser and going to the gym. My sons have graduated from San Mateo High one is attending the University of Oregon and the other is attending College of San Mateo. Also, remove going to the gym and ad taking Karate. Please contact Steve at anytime without any obligation. He is ready to work for you today! "We recently purchased a home and Steve was very helpful in the process. In addition to understanding the process inside out, Steve has great ... more "
"Steve represented us on the purchase of our condo in 2013. We couldn't be happier with all of his patience and support in writing competitive offers ... more "
"My wife and I met Steve while we were just looking around the neighborhood in which we lived for possibilities. Providing him with our contact ... more "